It may have been quiet on the blog front for ToastLoveCoffee but certainly not on the ground! Last night, along with CATCH (Community Action to Change Harehills) we welcomed what seemed to be hundreds of people to our building and grounds on Hovingham Avenue. The mix of people was eclectic and absolutely represented what we are all trying to achieve; local families, police officers, business leaders, councillors, volunteers, teenagers, kids, older folk, charity leaders, were all enjoying the warm balmy evening. There was a barbecue on the go, we were serving drinks and canapes from the cafe, there was a kickboxing demonstration on the lawn and a football tournament on the pitches. The atmosphere was electric with all the well wishers and positivity coming from all quarters. 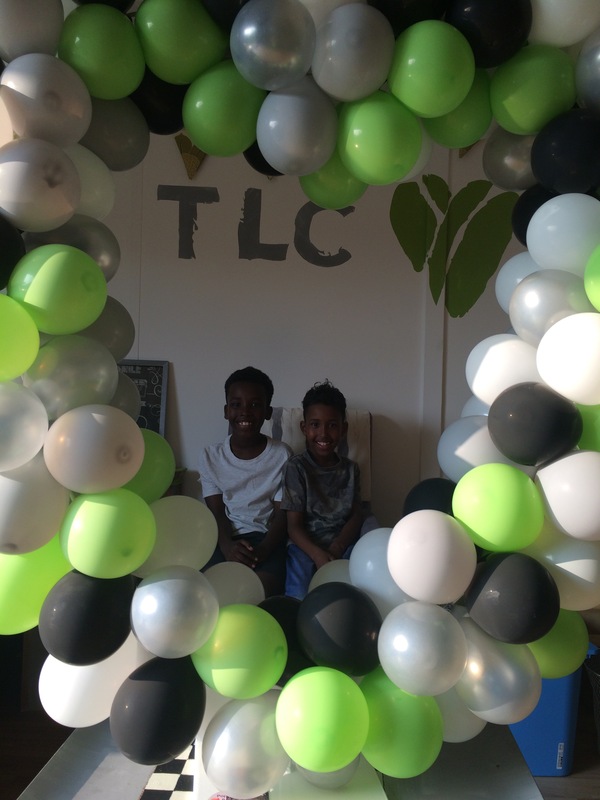 We feel so excited for the future – watch out for more opening hours, more days, and more projects from TLC (and as ever if you want to get involved please be in touch via a comment here, a Facebook or Twitter message). Oh, and just in case this week wasn’t busy enough – we’ve got a stall at the Harehills Festival in Banstead Park 12-4pm – pop by and say hello if you’re about! 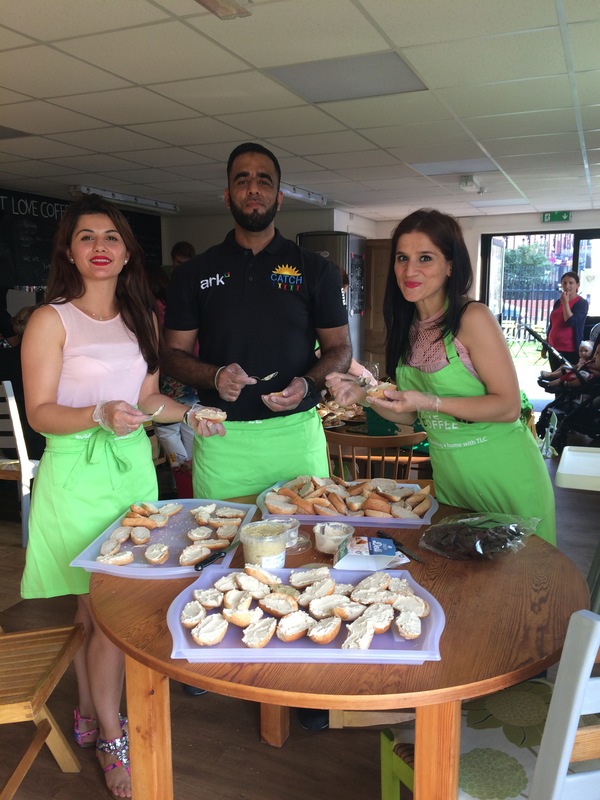 “Hi I’m Anna, mum of three, Jewish, background in Jewish youth and community work, living in Leeds, and founder of TLC community cafe. The cafe story started when, in Dec 2012, I met Anita, a young mum in our asylum system, living in Harehills; my life has changed, for the better, for ever. She has taught me so much, and inspired me so much, and I know many others who also feel the same way. Anita, I wouldn’t be standing here if it wasn’t for you, so I want to say to you: THANK YOU and I feel so, so privileged that we are friends, that we have a relationship like sisters, that you are in my life. 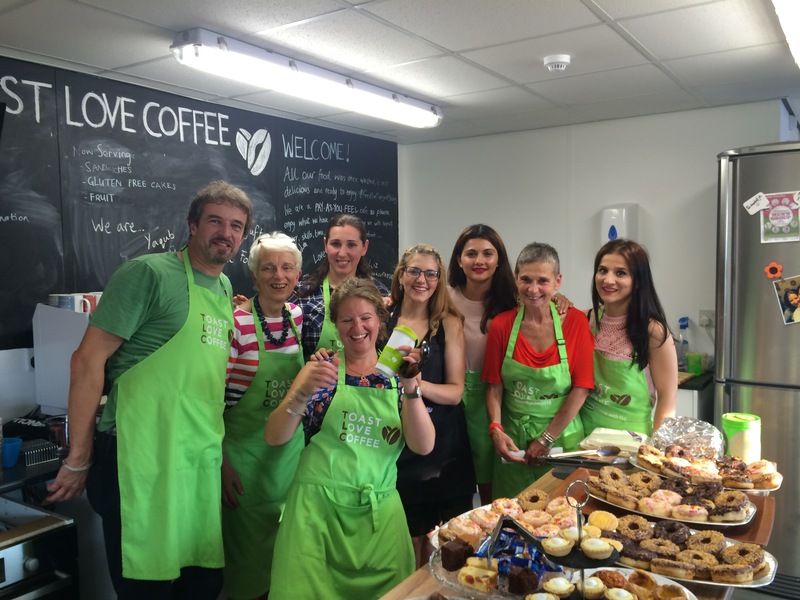 We became friends in my kitchen over toast and coffee, and a year in, we wondered if we could create that space where more people could come together who otherwise wouldn’t meet, and that was the seed of ToastLoveCoffee (TLC). Things moved quickly after meeting with Jill from Together for Peace (whom I had known for many years because of T4P interfaith initiatives in the city) to talk about our ‘crazy idea’. She said the now famous words, ‘I’ll be with you’ and she has been ever since! She introduced me to Ash Razzaq, and TLC soon became a reality with some seed funding from Leeds Grant Group and the School for Social Entrepreneurs, and by joining The Real Junk Food Project, so all our food is sourced with them (TRJFP intercepts good food that would otherwise go to waste). TLC operates on a pay as you feel basis – so you pay with respect, time, money, skills, a like and share on Facebook . . .
We started popping up at the old Hub building twice a week and it was happening; people were coming and meeting others, connections were being made, community was being built, food was being eaten and taken away, and people were walking out of TLC a little happier than they were when they came in. Before moving to this new building we had a second temporary home down the road at the offices of RETAS – a charity supporting asylum seekers and refugees. There, we cemented our relationships with many people in that network, and we are privileged to have many of them as our volunteers both there, and now here. Our thanks to Roger and everyone at RETAS for welcoming us, promoting us and supporting our cafe. However, we were desperate to return to Hovingham Avenue; being away from CATCH made us all realise that our future was going to be so much better embedded with them so when the opportunity to be part of the new building was presented to us, we were absolutely thrilled. We would like to thank all 198 people who supported our Crowdfunder appeal who enabled it to happen, and the too many to mention volunteers who came over the summer to paint, sand, build, clean, varnish and decorate our new cafe space. We learned that when people come together, whether it’s over a coffee, or building a kitchen island out of wooden pallets, there is real beauty and value in those people with different backgrounds coming together, working together and getting to know each other better. We are so delighted with the results of our work over the summer in getting our permanent home ready for opening – the best feedback we get is that it feels like home, that it is warm and welcoming and that people can feel the love that we have invested in this space. Since July 12, we have been open twice a week on Tuesday and Thursday mornings, and now, with thanks to Engage’s support in funding our new kitchen equipment (hob, oven and extractor) we hope to be open for lunchtimes too. We have also piloted a Youth night with CATCH on Wednesdays and early reports are very positive; we are thrilled to be able to partner with CATCH in this way to provide another safe alternative space for young people in this area in the evenings. 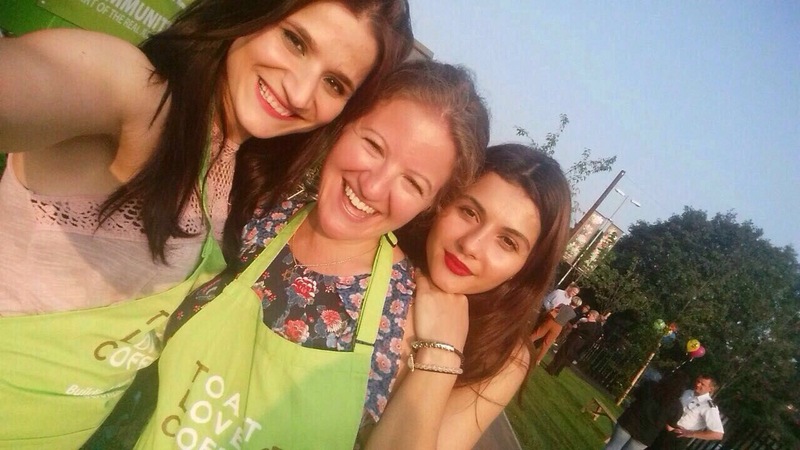 TLC would simply not exist without the huge dedication of our wonderful team – all volunteers. I don’t want to list them all – for fear of missing someone out, but I must say the hugest most heartfelt thank you to you all for believing in this with me, for giving your time, skills, passion and love to this cafe, and to making it the success it is today.